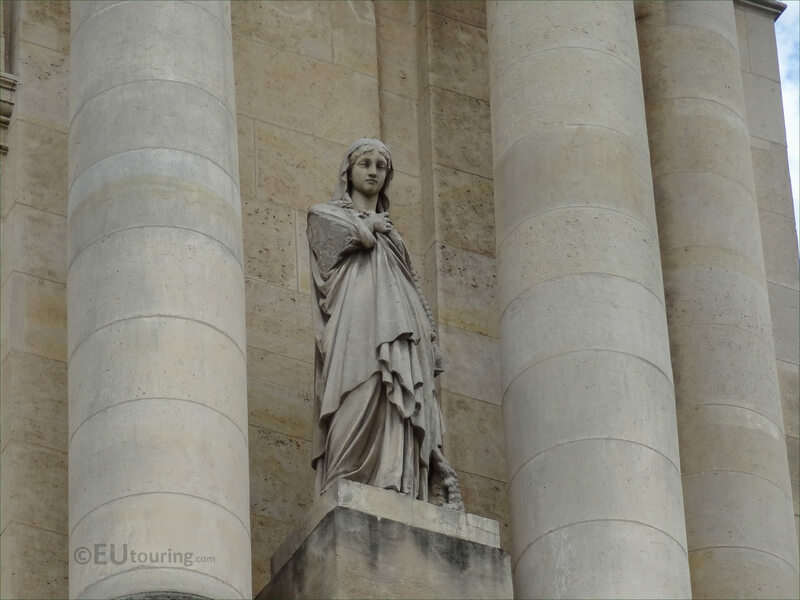 While we were in the 1st Arrondissement of Paris, we took these high definition photos showing a statue of Sainte Genevieve on the facade, which was sculpted by Eugene Antoine Aizelin. 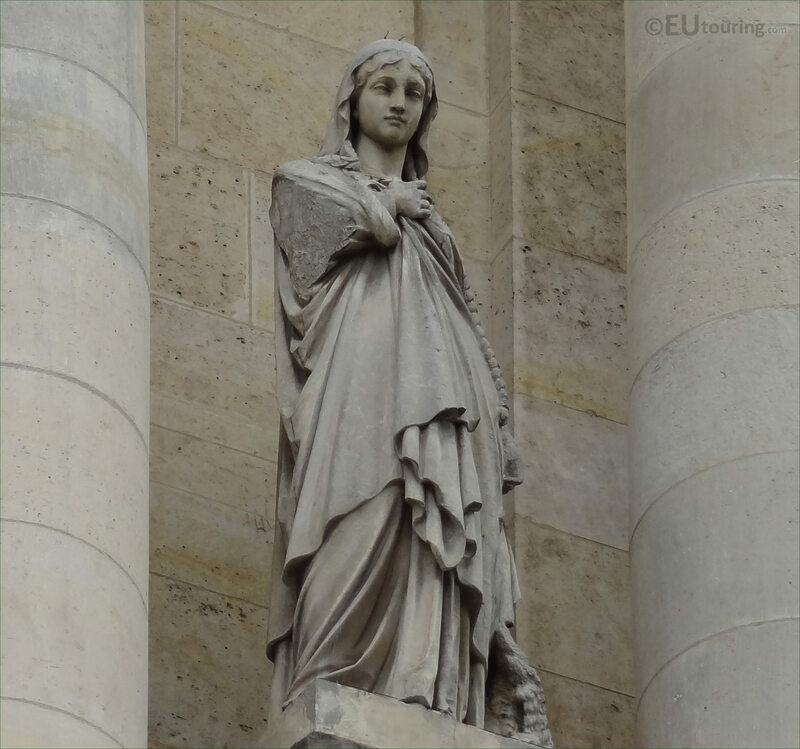 This first HD photo shows a statue of Sainte Genevieve, spelt Saint Genevieve in English, which was produced by Eugene Antoine Aizelin who was born in 1821 and studied at the Ecole des Beaux Arts to become a French sculptor under the direction of Jules Ramey and Augustin Dumont. 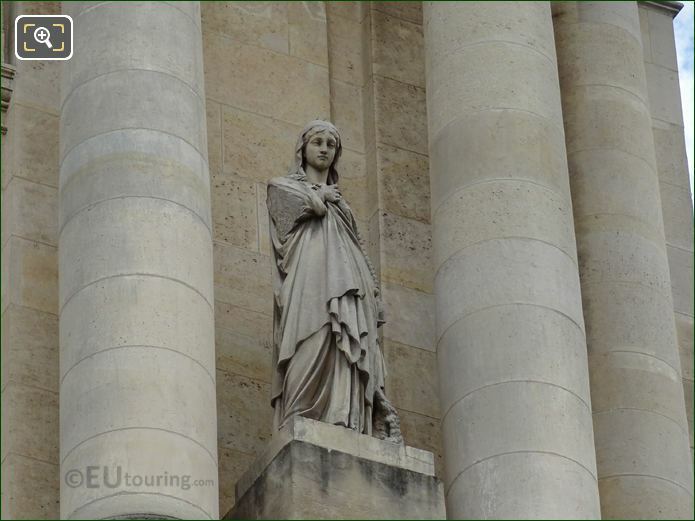 Throughout his career Eugene Antoine Aizelin received numerous medals and awards for his works, also receiving many public commissions for statues and sculptures to adorn tourist attractions in Paris including the Hotel de Ville, Theatre Chatelet, Palais Garnier Opera House and two for the Eglise Saint-Roch, with this being one of those. 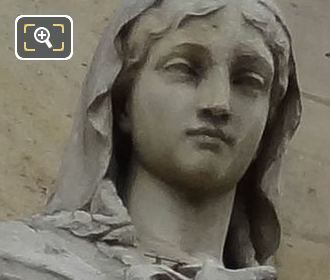 Now this is a close up photograph of the Saint Genevieve statue, who was a peasant girl born in Nanterre around the year 419 and she moved to Paris, dedicating herself to Christian life, and according to her story she saved Paris from Attila the Hun and his army by diverting them from the city through prayer with the people. 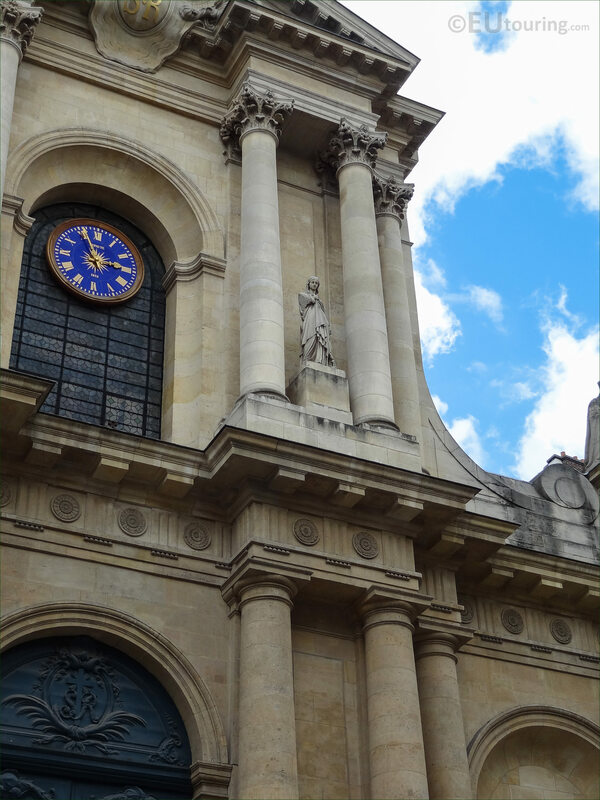 Sainte Genevieve also acted as an intermediary and brought food to the people when Childeric besieged the city, and being buried in a an abbey that Clovis I had founded, she became recognised as the Patron Saint of Paris, with her fest day in Roman Catholic religion being celebrated on the 3rd January. So here you can see the Saint Genevieve statue positioned in between the columns on the second level of the Eglise Saint-Roch, which is to the right hand side of the clock as you are looking at the main facade from the Rue Saint-Honore.